Fiberglass reinforced plastic (FRP) has proven itself as an excellent material for use in industrial applications but there are many applications that enterprising and “handy” members of the do-it-yourself community should consider. FRP is electrically non-conductive, will resist weathering, and will not rot or rust. FRP makes an outstanding material for weather resistant, and rust/rot proof, ramping and docks. With the proper design, the sheet can safely sit in a trough without requiring mechanical bolting or affixation. 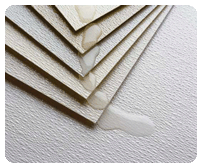 FRP sheet comes standard with a “meniscus” anti-slip surface but panels with a grit surface are widely stocked. The panels will be more expensive than comparable wood or metal (about $300-$400 U.S. dollars per 4′ x 10′ sheet, before freight) but for the do-it-yourselfer looking to make a long-lasting, premium design, FRP is an outstanding selection. There are even “mini-mesh” options available to help prevent small items such as keys from falling through. For me information on FRP molded sheet, click here. FRP wall panels are everywhere but do a thankless job and you may rarely notice them. When you’re in a convenience store or food processing area, have you ever noticed an embossed, pebble-like white or grey wall covering? This is FRP wall panel. It is chosen because it is very low maintenance – it lasts for a long time and is easy to clean. It’s also readily available in white 4′ x 10′ or 4′ x 8′ sheets, all being .090″ in thickness which is the industry standard. It is commonly affixed via a special adhesive that can be purchased alongside the sheet and it would be ideal for workshops, mud rooms, bathrooms, or any area where walls need to be protected from dirt, grime, moisture, etc. For more information on FRP wall panels contact us here.